While the Dow & S&P500 indices grind back higher thanks to the US Fed chickening out on a rate rise in because the economy can’t handle it, many people still overlook the fact that core US profitability has tracked sideways since 2012. 6 years of next to nada. Sure one can boost profits by adding back unrealistic “inventory adjustments” but the reality is plain and simple. If you search for inventory adjusted earnings they’re still marginally growing but there in lies the point. Real profits aren’t. Record buybacks fueled by cheap debt is the cause for ‘flattered’ earnings. No growth in E just falls in S. EPS growth can look spectacular if you ignore 50% of US corporates have BBB credit ratings or worse. The latest lexicon is “modern monetary theory” (MMT). The idea that the central banks just manipulate markets in perpetuity. Austerity is no longer needed. Central banks print money and extinguish debts the same way. Seriously why bother with taxation? The question is if it is meant to be a sure winner, why aren’t we all living in 5 bedroom mansions with a Mercedes Benz and a Porsche in the driveway? Why not a helicopter? Last year the US Fed announced it had stopped reporting its balance sheet activity. In 2006 it stopped reporting M3 money supply. Curious timing when inside 2 years the world was flung into the worst recession since 1929. Transparency is now a danger for authorities. The question boils down to one of basic sanity. All assets are priced relative to others. It’s why an identical house with a view in a nice neighborhood trades at a relatively higher price than one in a outer suburban back lot. The market attributes extra value even if the actual dwelling is a carbon copy. It is why currencies in banana republics trade by appointment and inflation remains astronomical. Investors don’t trust their ability to repay debts unless given extremely favorable terms. Market forces at work. Take a look at Japan. It has $10 trillion in outstanding debt which is 2x its economy. The Bank of Japan owns 60% of that paper bought through a printing press. The market for JGBs is so manipulated that several Japanese mega banks have handed back their trading licenses because it has become worthless to be on that exchange. The BoJ thinks it can make whatever prices it chooses. The ultimate aim is to convert all of the outstanding debt into a zero coupon perpetual bond with a minor ‘administration’ fee in order to assign some value to it. To the layman, a zero coupon perpetual means you get no interest on the money you lend and the borrower is technically never required to pay the borrowed amount back. Such loans are made by parents to their children, not central banks to politicians (although one could be forgiven to think their behaviour is child like). Yet the backdrop remains the same. Consumers are tapped out in many countries. Lulled by a low interest rates forever mentality, even minute rises to stem inflation (real is different to reported) hurt. My credit card company constantly sends emails to offer to transfer balances at 9% as opposed to the 20% they can charge if I don’t pay in full. APRA recently relented on interest only mortgages after demanding it be tightened to prevent a housing bubble getting bigger. Now mortgage holders hope the RBA cuts rates to ease their pain. Like most new fads, MMT can’t remove the ultimate dilemma that Milton Friedman told us half a century ago. Inflation is always and everywhere a monetary phenomenon. One can’t hope that putting money in the hands of everyone can be sustainable. The one lesson that we should have learnt from GFC was that living at the expense of the future has rapidly diminishing returns. All we did was double down on that stupidity. Do we think it normal that Sydney house prices trade at levels the Japanese property bubble did in the late 1980s? Do we realize that we hold as much mortgage debt than Japanese banks did for a population 5x our size? Do we think that our banks are adequately stress tested? When an economy like ours has avoided recession for a quarter century, it builds complacency. MMT is nothing more than a figment of the imagination. It preys on the idea that we won’t notice if we can’t see it. Unfortunately behind the scenes, the real economy can’t sustain the distortions. The French make the best modern day example of a growing number of Main Streeters struggling to make ends meet. Central banks monkeying around with MMT smacks of all the same hubris of the past. It is experimental at best and reckless at worst. Markets can be manipulated for as long as confidence can be sustained. Lose the market’s trust and all of a sudden no amount of modern day jargon can overcome what economists have known for millennia. If you flood a global economy with cash at 5x the rate the economy can feasibly grow then it will ultimately require bigger and bigger hits to get the same bang before the jig is up. It’s a Ponzi scheme. Bernie Madoff got 120 years jail. Why not the central bankers? So what is the best asset out there? Gold. It can’t be printed. It requires effort to discover it and dig it out of the ground. Of course the barbouros relic deserves to be consigned to the dustbin of history. If that were so Fort Knox might as well leave the gate open. The more it is hated only makes this contrarian investor want it more. In an ever growing world of haves vs have nots, Elliman has released an interesting update on the statues of global wealth and where it is likely to head over the next decade. It suggests North America has 73,100 UNHWIs at an average of $100mn each or $7.31 trillion. To put that in perspective 73,100 North Americans have as much wealth as Japan & France’s annual output combined. Over the next decade they expect 22,700 to join the ranks. Europe has 49,650 UHNWI also at the magical $100mn mark (presumably the cut off for UHNWI or the equivalent of Japan. Asia is growing like mad with $4.84 trillion split up by 46,000 or $105mn average. In a decade there are forecast to be 88,000 UHNWIs in Asia. I am not sure what the World Bank was smoking when coming up with the coming forecasts I’ve rthe next decade but the figures smel fishy. Then it all comes down to this chart. 5) Rising interest rates – well the US tax cuts should by rights send interest rates creeping higher. A recent report showed 57% of Aussies couldn’t afford an extra $100/month in mortgage – a given if banks are forced to raise lending rates due to higher funding costs (40% is wholesale finance – the mere fact the US is raising rates will only knock on to Aus and other markets). So while UHNWIs probably weather almost any storm, perhaps it is worth reminding ourselves that the $100mn threshold might get lowered to $50m. It reminds me of a global mega cap PM who just before GFC had resplendent on his header “nothing under $50bn market cap”. Post GFC that became $25bn then eventually $14bn…at which point I suggested he change the header entirely. I had an amusing discourse on LinkedIn about crypto currencies. The opposing view was that this is a new paradigm (just like before GFC) and it would continue to rise ( I assume he owns bit coins). He suggested it was like a promissory note in an electronic form so has a long history dating back millennia. I suggested that gold needs to be dug out of the ground – there is no other way. Crypto has huge risk factors because it is ultimately mined in cyber space. State actors or hackers can ruin a crypto overnight. There have already been hacking incidents that undermine the safety factor. It does’t take a conspiracy theory to conjure that up. To which he then argued if it all goes pear shaped, bitcoin was a more flexible currency. Even food would be better than gold. To which I suggested that a border guard who is offering passage is probably already being fed and given food is a perishable item that gold would probably buy a ticket to freedom more readily as human nature can adapt hunger far more easily in the fight for survival. I haven’t heard his response yet. In closing isn’t it ironic that Bitcoin is now split into two. The oxymornically named Bitcoin Gold is set to be mined by more people with less powerful machines, therefore decentralizing the network further and opening it up to a wider user base. Presumably less powerful machines means fewer safeguards too although it will be sold as impervious to outsiders. Of course the idea is to widen the adoption rate to broaden appeal. Everyone I know who owns Bitcoin can never admit to its short comings. Whenever anything feels to be good to be true, it generally is. Crypto has all the hallmarks of a fiat currency if I am not mistaken? While central banks can print furiously, they will never compete with a hacker who can digitally create units out of thin air. Fool’s Gold perhaps? I’ll stick to the real stuff. I’ll take 5,000 years of history over 10 years any day of the week. The ECB proves it is powerless to push member states into banking solutions. It is in fact nothing more than an accomplice. No sooner had the ECB turned a blind eye to a bailout of two banks last week, this week saw the world’s oldest bank likely to get the same treatment. The state-backed rescue of Banca Monte dei Paschi di Siena SpA may be approved by the European Commission as soon as today. EU approval would pave the way for the third recapitalization of an Italian bank by the state this week. Last month, European authorities and Italian officials reached an agreement in principle on a rescue plan that may include a capital increase of about 8.3 billion euros ($9.4 billion) and the sale of about 26 billion euros of bad loans through securitization. Monte Paschi was forced to seek state aid after it failed to raise capital from investors in December. All it shows is that for all the rhetoric of bail-ins and tough talk, the ECB has no choice but to let member states handle their own affairs. Italy has a banking sector with 20% NPLs with up to 50% in southern parts of the country. In reality it shows up the ECB to be powerless to control its members. While the US can openly state it is paring back its balance sheet, the ECB has to be content with rolling over and playing dead. At the same time Italy sets precedents that become the benchmark for others to follow. Must be food for thought for all the banks that have been forced to bail-in…-all banks are equal…some more equal than others! A quick one but a chart that maps the average strength of the NO vote vs the average youth unemployment rate in Italy. Similar to the statistics revealed from the chart in my report yesterday – the higher the unemployment rate the higher the NO vote – predominantly from provinces in the south. It would appear Mr Draghi and co have propped up Italian bonds and the euro which undoubtedly squeezed shorts but as much as the motto to never fight the central bank, eventually the weight of market forces can’t sustain this indefinitely. Not even the ECB can Make Italy Great Again. The ECB is about as welcome as the Carthaginians at the gates of Rome at this juncture. I recommend signing up to Beppo Grillo’s blog. It is in English too – gives more perspective on the shenanigans in Italian politics. Sure there is some bias but some of the stories read like Nero watching Rome burn. A lot of people may look at the unemployment statistics and marvel at the seemingly low rates. I noted Queensland’s Palaszczuk government now employs more than 250,000 staff with the bureaucracy ballooning by more than 2500 full-time-equivalent workers in three months supposedly in health and education. Don’t get me wrong – the public sector provides vital services – fire, police and ambulance, to name just three-which are served by top drawer people. However looking across the globe, we see since the turn of the decade the OECD reports that pretty much every country has grown its public sector payroll at the same time government debt climbs and the economy slows. “In many states, public service has little to do with serving the public and everything to do with using the public’s money to serve politicians. Whenever we open the books, California is consistently among the worst offenders. Recently, we found ‘animal collection curators’ making $110,290; city librarians earning $222,320; public utility commission bosses at $550,028; and county hospital doctors making $1.274 million. Since the Global Financial Crisis (GFC) we’ve been living on borrowed time. It doesn’t take a genius to work out that this endless printing and hoovering up of toxic waste on the public purse then hiding it to mask reality can’t go on forever. It is a legalized Ponzi scheme at best. Even the legality can be questioned. Manipulation of financial markets is taking away the one way to reset and create price discovery. Talking to some of my old pension fund manager clients, many lament that they are being buried by regulation on one side and government participation which is destroying fundamental performance based on individual company merits. Sure robotic (algorithmic trading) makes sense for a lot of capital allocation but not all. I still hold that we are on the precipice of the largest economic shock since 1929. The worst part about it is that central banks have no ammunition left. Negative rates worked in Norway for a period but they aren’t working in Japan. Why? Well confidence remains the biggest neck. If you give money away and people stuff it between the mattresses then you aren’t instilling them with hope. Most Japanese know that the “national insurance” they put away is nothing but a massive black hole which will likely never return to them after retirement. So at negative rates, their investment opportunities are made riskier to get less return. December 4th is a big day. Italian referendum which is likely to fail, throwing Italian politics back into its normal rhythm (volatility) and an Austrian presidential rerun which should favour the right wing FPO after the voter fraud discovered at the previous one held in May. Throw on top of that Schulz taking an escape pod from the EU, Marine Le Pen edging closer to a presidency next year and we have the settings for overpriced asset markets, stretched government budgets, record levels of debt accumulation, insolvent pension funds, bloated public sectors and impotent central banks out of bullets to resurrect us. With thermonuclear fuel failing to reset us, the only way out of this is to massively cut taxes, deregulate and let the people’s confidence lead us out. In case you hadn’t noticed, more government doesn’t work. Trump is actually just the type of politician to shake us from this drug induced slumber over the last few decades. Be thankful we didn’t get Clinton – it would have been more of the failed policies under Obama that crushed the middle class and small business, the incubator of innovation and jobs creation. 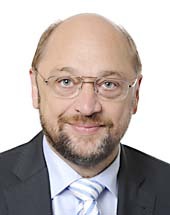 Does Mr Schulz’s resignation say more about fleeing a sinking EU ship than saving the Fatherland? EU Parliament President Martin Schulz has resigned. Just as the EU sinks deeper into the quagmire of its own making Herr Schulz seemingly wants to run against Angela Merkel for Chancellor next year. The triumvirate of Schulz, Juncker & Tusk was supposedly inseparable but one wonders if it has become insufferable this year with the prospect of 2017 becoming even worse. Think about it – Brexit, the ditching of a free pass by the Swiss to join, the mess with Turkey over refugees, the parlous state of Greece, an Austrian presidential election that exposed the lack of respect for member state democracy by the EU, a touch and go referendum in Italy and the growing chances of a Le Pen presidency in France on top of an EU economy at stall speed with limited options. The stratospheric rise of the Euro-sceptic 5-Star Movement (M5S) could benefit from the electoral rules (Italicum law) which changed in July 2016 which grants a party that wins over 40% of the vote it wins 54% (a minimum of 340 out of 630 seats) of the Camera. The Economist wrote of the party that aims to #draintheaqueduct “the M5S chooses its electoral candidates in online ballots. Save in municipal elections, it does not accept anyone who has served more than a term as a political representative of any sort. The intention is to guarantee that its lawmakers and office-holders are free of the compromising links that are rife in Italian politics. But one effect is to ensure they are equally untainted by experience and, sometimes, ability.” M5S is polling around 28% vs Renzi’s Democratic Party at 32%. There in lies the rub for the establishment. Around the world, they are fast learning that political experience and ability are outweighed by the promise of change and the ability to call a spade a spade. Rome’s Mayor Ms. Raggi (M5S) has bounced from one problem to another after being left a city in deep debt and political scandal. Reality is often different to the dream. Still if Renzi loses and he resigns, Italy maybe thrown into a snap election and if the M5S wins a majority that will have implications for the bond market. A party that looks to exit the euro will potentially raise large scale bank default risk. Holders of Italian euro-denominated debt would be stuck having to receive a devalued lira on top of wholesale dumping of Italian debt proving a double whammy. Banks are not required to hold capital against government bond holdings but such losses could well create insolvency issues. At the start of October this year, Italian 10-yr government bonds traded at 1.2% yield. It is now 2.13%. So the risk of the Italian referendum is perhaps being viewed by Schulz to take an emergency parachute to pursue a German state political career than his once Utopian ideal of the EU. It is telling. Surely he stood to gain much greater power in the long run if he truly believed in his beloved EU project. Resignation suggests he may believe the writing is on the wall and better to retreat to his homeland to keep what is left of a career alive. A true contender to Merkel? It remains to be seen but do not discount his move as a precursor to the dwindling fortunes of the EU movement.